3% of your purchase with kitty love each time you shop at our online and retail stores. Don’t miss out on the meow-nificent rewards awaiting! Terms and conditions apply. How To Register For A CatSmart Reward Card? How To Earn CatSmart Reward Points? - Points can be earned from both online and in-store purchases. - These can be accumulated and used to offset future in-store purchases. - Earned points have no expiry date. How To Redeem Your CatSmart Points? 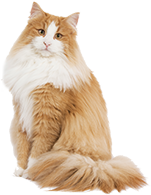 - The CatSmart Reward Card must be presented for point redemption. - Partial redemption is allowed in any amount. - Redemption is only available for in-store purchases. - Redemption cannot be made during CatSmart Sales Events. - Points can be used to offset the purchase of any product and service, with the exception of Wet Food and Cat Litter. - 5% off all purchases made in-store during your birthday month. - Both your identification card and CatSmart Reward Card must be presented in person for verification.